No struggling with your stuff just come and relax in your fully equipped tent! That’s what glamping is all about. We have made a top 10 list of things, you definitely do not need to bring when you’re staying with us at AfriCamps! We have you covered. You don’t need to bring your own bed linen or towels. Each tent had 3 nice beds where you (and your children) can relax after a day of fun activities around the camp. We also have fresh towels which you can use after your shower in your own tent! No walking to a public bathroom because you have your own! 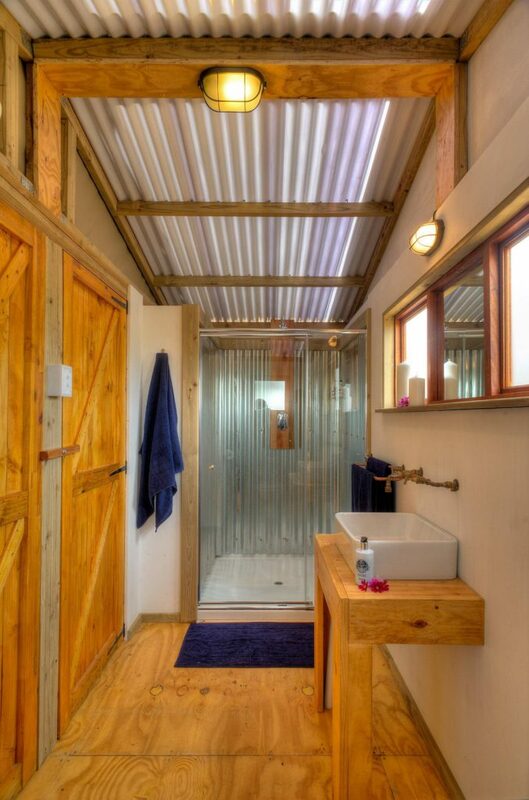 It’s not glamping unless you have your own private bathroom. Easy! No getting cold at AfriCamps. We have lovely electric blankets to keep you warm. During the winter it can be cold in South Africa at night and electric blankets will help you to sleep well. 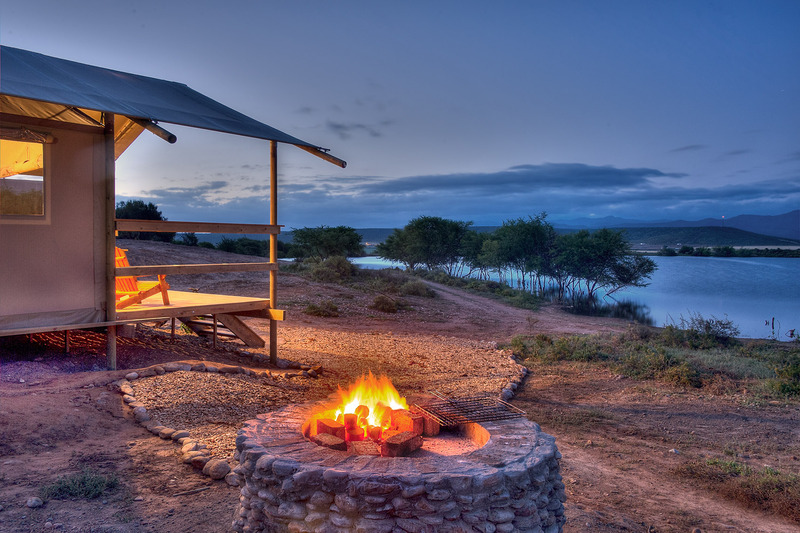 Each tent has its’ own wood stove inside and braai area outside. Don’t worry about bringing a grill, tongs or oven mitts. The word braai is Afrikaans for “barbeque” or “roast” and is a social custom in South Africa, Namibia, Zimbabwe and Zambia. No, no, no! Leave it at home. Each tent has his own fully equipped kitchen with everything you need to have a pleasant stay. Next to your braai and kitchen, you can also order the breakfast! Fun fact: every AfriCamp has a different breakfast pack each filled with its own qualities, yum! Good morning travelers! What is more beautiful than to wake up like this? No need to pack a fan. During the hot days and nights, you can use the air-conditioning which is installed in each of our tents to keep you cool! It’s not necessary to bring your own flashlight. Our tents are equipped with lighting and electricity so you will never be in the dark. Ever go on holiday and had a moment of sadness as you poured a nice bottle of wine into a tumbler or beer glass. Don’t bring wine glasses because we have them! Just sit down, relax and enjoy the view. You can also do a wine route during your stay at AfriCamps Robertson, Pat Busch Mountain Reserve. Leave your stress at home, you are not going to need it.